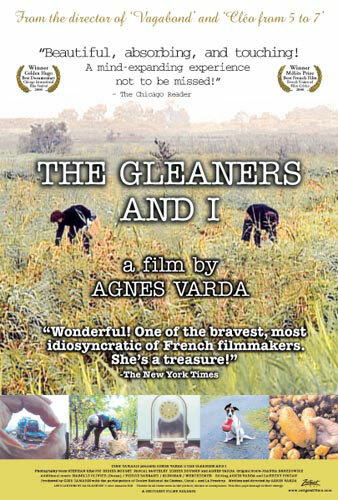 Agnès Varda’s acutely original documentary The Gleaners and I (2000) looks at the act of gleaning from different perspectives. I’m not sure if the word perspective is the right one. It would be more accurate to say that she comes across and reflects on different kinds of gleaning. We can distinguish three different types: gleaning, grappling and recuperating. Gleaning (glanage) would be the act of collecting from the floor what has been left of the harvest; grappling (grapillage) is very similar to gleaning with the difference that instead of picking up from the floor, fruits are grabbed from the trees and shrubs; recuperating, could refer to either of these practices but can also be extended to the recuperation and reutilization of used man-made objects. Just as the film is nourished by various types of ancestral agricultural or welfare practices, it is also discursively diverse. It travels whimsically and visually across different landscapes and different genres. The sense of continuity of the film actually seems to be put in motion by Varda’s curiosity. More than recuperating images of gleaning she is collecting landscapes, faces, characters and testimonies that sometimes don’t bear a direct relation to the main theme. She might be caught filming heart-shaped potatoes, her hand trying to “catch” trucks in the highway, photographs of a trip to Japan or randomly talk to couples about how they met. This montage of random contingency in fact seems to be in direct relation with Varda’s integration in the film. The original title conveys more faithfully her role: Les glaneurs et la glaneuse. Early in the film there is identification between her and the famous Jules Breton painting La glaneuse. By identifying Varda as a glaneuse we also attend to her own frame of perception: her Umwelt. The viewer suspends discrimination and is invited to consider apparently arbitrary film sequences as well as unsuspected gatherings: works of art built from recuperated material, paintings inspired by gatherings of garbage, accumulation of found furniture. 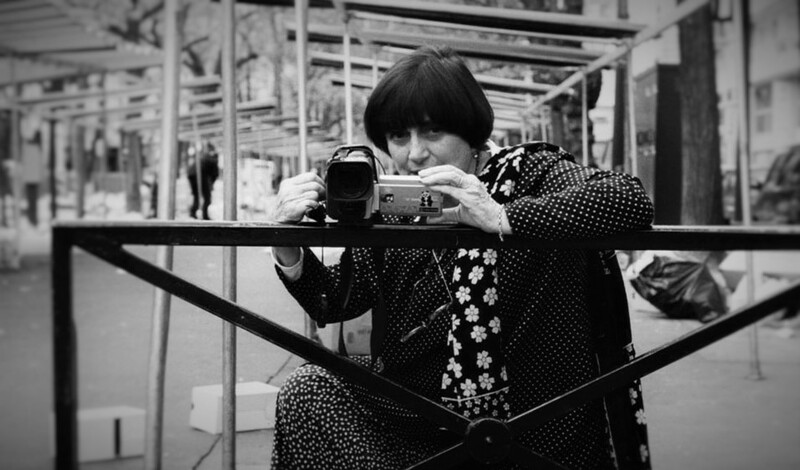 Varda’s inquisitive camera opens the possibility for different ways of vision and perception. Playfully she takes us from one place to another hearing stories, watching singers and even visiting her own house. But is not her vision that is opened to us but also other people’s. In his book Insectopedia, Hugh Raffles has addressed the problem of vision: “Vision, and perception more generally, are neither unchanging in time nor constant across cultures. The have history –several histories, in fact, as the character of perceptual understanding is understood to be shaped by regional and national aesthetic cultures. Key moments of transformation are tied to the emergence of specific visual technologies.” Human physiology in a way dictates the limits of perception. Our vision and world-view are determined both by our personal perceptual apparatus as well as by the culture in which we grew and instinctively assimilate. This constitutes our “horizon”, which prevents us to see the world as the tiny blind tick or the image-oriented autistic. Film endeavours like Varda’s promote different ways of looking that go from urban juridical systems of regulating and restricting ancient welfare practices to alternative modes of conceiving or reutilising garbage and residue.